On one hand, I’m finding it hard to believe that Autismum is a year old today. On the other hand it feels that so much has been crammed into that year, not just blog-wise but life wise. Just before I started this blog I began writing for Nerditorial. I wrote a lot about science but could have easily written the same number of articles and twice more about autism and the controversies surrounding it but that’s not what the editors, Matt and Jeff, would have wanted. A piece I wrote there, Reviewers Reviewed, about the 1998 Lancet paper by Andrew Wakefield being retracted, got huge views and was shared by some big names (Simon Singh, Brian Cox and Dr Karl to name a few). I thought then, there might be people who’d want to read some more. My first post, and indeed, the tone of many of my rants was inspired by self advocate Kathryn Bjornstadt. Her eloquent post – simply a reply to a comment on the Jenny McCarthy Body Count Facebook page said so much of what I had been feeling since realising that the anti-vaccination movement wasn’t dead and was/is teeming with cranks willing to belittle my child’s existence at any given opportunity. So now, some thank yous…. Thanks everyone who has taken the time to read my rants, musings, moans and silliness – whether you have come here to support me or to tear strips off (try to anyway) you have helped make this blog what it is. The people who follow the blog and my regulars, Chris, Darwy, Lilady, Lizzy, Pinstriped Aspie, Catherina, Alit, Melody RN, Science Mom, LBRB Sullivan, aefountain, Zoey Roberts, 0mum22, Allison, Liz Ditz, Scott Hansen, Canadian Nurse (the amazing!) and all in the Born This Way Autism Facebook group. I’m sure I’ve missed someone but not intentionally – Thank you all. Thanks to Derek Bartholomaus, creator of the Jenny McCarthy Body Count, for linking to Autismum in the very earliest days – you brought me my first readers and followers. Thanks to Jeff and Matt, editors of Nerditorial.com for giving me a start with writing again and for their total support as the Patriot Nurse Saga unfolded. Thanks too to the Skeptical Raptor who has supported this blog from the outset. The regulars at Respectful Insolence have been very welcoming and supportive and I am very lucky to count many of them among my online friends. Liz and Lilady, your friendship, support and belief in me means the world. A certain plexiglass box of blinking lights sent my hits into the stratosphere with his post The Best Retort Ever? Thank you, Orac. Working and looking after the Pwd, as well as having a house full of builders, keeping appointments, behavioural therapy, rugby and all the other stuff in life means that, sometimes, I just don’t get blogging time so I am in the debt of those who have come to my rescue to keep Autismum alive – my guest bloggers. My Hubby has not only written for this blog but made it possible for me to write by entertaining and watching the Pwd. Vaximom’s post on Gaggie – oops I meant Guggie – got a lot of people banned from that sanctimommy’s facebook page and the insights Steve Summers has offered into being autistic are invaluable. Fellow Nerd, Chris McKee’s moving piece about meeting his autistic step brother is my favourite post here. He has a big future ahead of him that McKee boy. Now, I’m off to organise a prize draw and when the Pwd’s gone to bed I’ll be sitting down with some lemons drizzle cake and popping open a bottle of cava and raising a glass to all of you. Sorry if this is cheesy but it needed saying. Normal rantiness will be resumed shortly. Congrats on one year of telling the world the truth about autism and how spectacular our children are, autism and all. Thank you for continuing to make a difference and remind your readers the impact one can have. You have done so much for families with Autism, as well as helped to provide a window for those who want to learn and help the adorable little boy we’ve all come to love. Thank you for continuing to make a difference and remind your readers the impact one can have. You have done so much for families with Autism, as well as helped to provide a window for those who want to learn and help the adorable little boy we\’ve all come to love. On the very best next year ahead, and the next, and the next…. Well be here, with you. Write on! It’s difficult to believe that your blog is ONLY one year old, Autismum. I’m still in awe with your accomplishments and so happy to have been *there* when you tackled “The Patriot Nurse” and to watch your ascent into the blogosphere. Having caught the notice of Orac and being the subject of Orac’s blog, is truly a great accomplishment. I couldn’t be prouder of you if you were my own daughter. 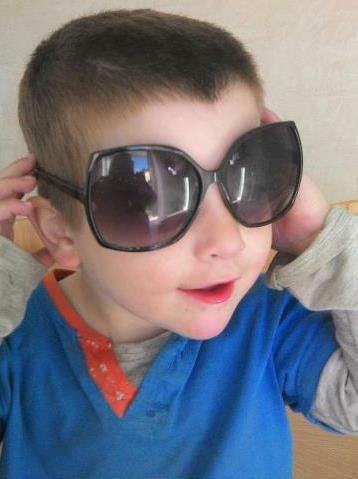 There truly is *something* to having special little boys, who are our inspiration. Let’s not forget our dear hubbies who love us and support our activities. Hugs to Pwdin, Aiden and to you, my dear Autismum. A continued source of inspiration and admiration. Autismum – thank you so much – for both sharing your life, raising awareness and furthering education regarding autism, science-based treatments, and combating vaccine fear-mongering and other issues. I appreciate the information and wisdom you share. Thank you for this beautiful look into your life. You educate, spread the joy of rearing a beautiful child, and manage to make it look easy. Thank you. It’s not easy but the Pwd is so loving and adorable he gives me far more joy than head aches.